Panel presentation proposal consisting of at least three panel members with related papers or reports on a project or theme (45-50 minutes). Roundtable discussion on an open pedagogical, methodological or research issue or question (20 minutes / roundtable, may be repeated). Workshop (interactive, participatory, hands-on, tutorial, with a take-away skill, tool, or technique.) (45-50 minutes). Please complete the Proposal Form [ https://tinyurl.com/2019-ISEB-CFP ] to describe your presentation. The Conference Program Committee will review your proposal and notify you promptly. ISEB will provide data projectors. Presenters must bring their own laptops, with appropriate video adaptors (Mac users). For questions, contact Conference Program Chair, Prairie Endres-Parnell (parnell@tarleton.edu). Priority Deadline for Proposals: October 31, 2018. Proposals received after this date will be reviewed if time-slots are available. The Conference will be divided into substantive panel sessions, round table discussions, and active workshop groups, providing attendees the opportunity to focus on specific areas from their own perspective and international experiences. Submissions can be made online via a Google form at https://tinyurl.com/iseb-proposal. Questions may be sent directly to the program planner through parnell@tarleton.edu. Please refer to the attached full conference call for your convenience, and please share this call with your colleagues. 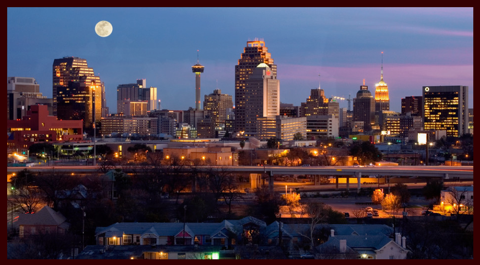 We look forward to experiencing your research in San Antonio! •	Subscription toVitae Scholastica: $40.00 (extra charge for those who are not members or for graduate student subscription). *Please complete the membership/conference form at https://tinyurl.com/ISEB-REG. (1) Early registration is required for presenters to appear in the program. (2) All presenters papers MUST be current in ISEB membership dues. Conference Registration fee is a separate fee from membership dues. Cut-Off Date: Above Room Block and Group Rate will be held until the Monday, March 15, 2019 at which time unused rooms will be released for resale by the hotel at a rate specified by the hotel. Any reservations received after this date will be based on Room and Rate Availability.